Editor’s Note: This entry is part of the Fredrickson Thought Leaders in Learning series. For this guest blogging series, we’ve invited well-known experts in a variety of fields to address leadership-level learning and development professionals with their thoughts on topics of their choosing. Our hope is to prompt discussion around an expansive range of ideas and concepts. OD deals with developing effective organization systems, productive human interaction patterns and change processes that work. Talent management deals with the strategic use of talent involving effectively designing the organization and identifying, acquiring, integrating, developing, performing and retaining what’s needed. Like most things in organizations it all needs to start from strategy developed to align with anticipated changes in the environment and an organization designed to enable strategic execution. With that basis, let’s look at how OD can support the work needed in talent management. Identification: Given any mission, environment and strategy, what talent is needed to execute successfully? This can be viewed through competencies, experience, capabilities or characteristics. OD has special focus on design of processes for conducting work or facilitating diverse groups in developing consensus or making decisions. Acquisition: Given the strategic needs, it is necessary to identify candidate sources, attraction strategies, diversity needs and recruiting and selection processes. Creating the inclusion of necessary perspectives and internal resources, designing needed systems and selection processes and ascertaining cultural fit can all be helpfully managed with OD support. Integration: All talent needs to be brought onboard, integrated with other resources and participate in managed transitions among teams and with cultural adaptation. OD can provide expertise for systems design, transition processes, team development and culture assimilation. Development: All talent will involve developing technical, relational and managerial competencies for current performance and emerging needs. Continuous changes create cyclical needs for new learning, new skills and new relationships. OD works with interpersonal, group, inter-group and social system roles, relationships and interaction patterns. OD can also assist in designing learning systems and development processes. Performance: Managing performance is an age-old dilemma, but one aspect that is important is the relationship between the context and an individual’s performance. Besides knowledge and skills the work system, technology, social relations, management and feedback cycles can all affect one’s performance. How these get designed can make a difference and how the performance management system is designed can also be better or worse. OD provides useful skills for working on both of these needs. Retention: When we have the talent we need, retention enters the picture. The problem-solving, monitoring and communications needed for retention can all be assisted with OD principles and practices. Meeting welfare, motivation, engagement and commitment preferences of desired talent gets into culture, policy, management and design arenas. It’s easy to understand why talent management has become so central and critical. More and more organizations can only compete with their human capital, organization capabilities and execution, all of which are dependent on who you have and how well they can behave for your strategy. All of these aspects need to work in alignment as an integrated system. Without OD in support, many of these functions can be under-optimized, fragmented, poorly designed or ineffective with the human resource base in the organization. We are entering an era when it’s becoming important to integrate the HR and OD mindsets and skill sets necessary for complete talent management. 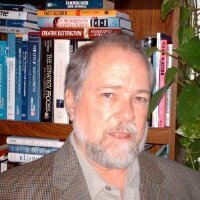 About the author of this Thought Leaders in Learning entry: Dr. David Jamieson is Associate Professor & Department Chair, Organization Learning & Development, College of Education, Leadership & Counseling at the University of St. Thomas in St. Paul, Minnesota. He is also President of the Jamieson Consulting Group, Inc., Practicum Director in the M.S. in Organization Development Program at American University and a Distinguished Visiting Scholar in other OD programs. He has 40 years of experience consulting to organizations on leadership, change, strategy, design and human resource issues. He is a Past National President of the American Society for Training and Development (1984) and Past Chair of the Management Consultation Division and Practice Theme Committee of the Academy of Management.